What is the scholarship programme? A financial award of up to $2,500 for the duration of the undergraduate degree that is subject to the recipient completing a minimum of a three week work experience placement, normally in their summer break. These offer students an opportunity to learn on the job within the health sector and practice the knowledge they gain through their studies. Building relationships with managers and their staff increase their networks and create mentors for them. A one-off financial award of $750 for that year of study only meaning the recipient must re-apply to the scholarship programme the following year. Applications for the TDHB Health Education Scholarship Programme 2019 are now open. Click here to commence your application, ensuring you attach all relevant documentation – Letter, CV, references and academic transcripts. What recipients say about the scholarship programme? "Being a recipient of this scholarship has allowed me to experience the daily physiotherapy practise within Taranaki DHB and to use and develop my theoretical knowledge in a practical sense. 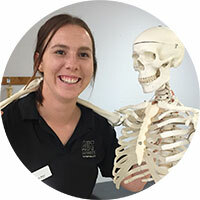 The support and opportunities that I have received from Taranaki DHB and physiotherapy department has cemented and inspired my passion for physiotherapy and my future career." 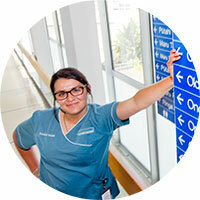 "Having lived in Taranaki my whole life, Taranaki DHB has been my ultimate goal of a workplace since beginning my nursing studies. Through the support of the Taranaki DHB scholarship, my final year of study was made financially easier. 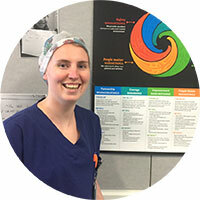 The interactions I have had through the Taranaki DHB scholarship has also aided me in helping meet future employers and co-workers, which I believe has been beneficial in myself gaining a job a new graduate nurse this year at Taranaki DHB." "Having the opportunity to be a recipient for one of few district health board scholarships has assisted me in my personal growth, confidence and has given me financial stability as a student, profession in the health industry and future occupational therapist. This program has kept me challenged, engrossed in new learning opportunities within the occupational therapy field and as a second-year student has supported me in my university funds and learning as I am involved with applying my current skill base into practice. I have a real sense of belonging within the Taranaki DHB environment and I feel this will assist me in becoming the OT I strive to be." Who are the current recipients of scholarships?